As educators we have all heard many quotes related to education and learning for students, and to help each of us to improve our teaching techniques or practices. NAAE Convention -- Get Ready for Vegas! Planning to attend this year's NAAE Convention? Make sure to check out the links & deadlines below to ensure the most bang for your buck! Time is running out! 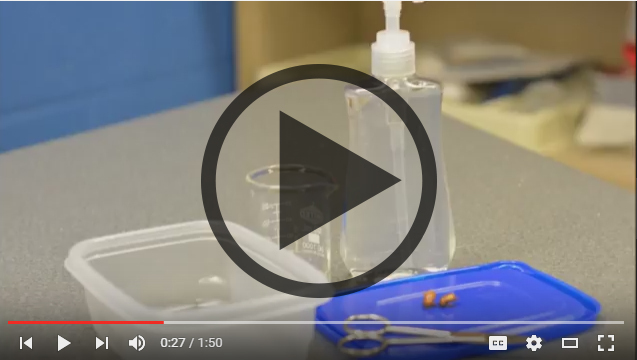 2015 NAAE Region VI Ideas Unlimited Award WinnerBerndtson uses macroinvertebrates like dragonflies or water striders from nearby waterways to teach students about monitoring and protecting water quality. The class does not always have the access or time to obtain the macros at a stream; therefore she has begun teaching her students to preserve macroinvertebrates using hand sanitizer. This method is inexpensive and preserves the insects for many years. Click here to watch a short video explaining her award-winning idea.The NAAE Ideas Unlimited Award is sponsored by Cengage Learning | National Geographic Learning. The XLR8 program includes participation in an intensive professional development experience (multiple sessions) during the NAAE convention, recurring virtual learning experiences, and online collaboration using the NAAE professional learning community, Communities of Practice, as well as other social media tools.All active NAAE members who are currently in their 7th to 15th year of teaching are eligible to apply. Each applicant must have been a NAAE member the three previous years while teaching agriculture. Participants must also be active members and working in school-based agricultural education in the 2016-2017 NAAE Membership year.We are now accepting applications for the 2016 XLR8 program. The deadline to apply is Friday, July 15th. Click here for more information. This summer the NAAE Virtual Book Club will be reading and working through The Innovator?s Mindset by George Couros. The Innovator?s Mindset encourages educators and administrations to teach their students to become forward-thinking leaders. Couros believes that innovation is not a skill set; it is a mindset.The first assignment is based off of a concept that Couros worked on with a science teacher about explaining Twitter in 60 seconds or less. The science teacher took that concept back to her classroom to teach her biology students about mitosis in 60 seconds. To get to know one another, NAAE readers are to capture themselves in 30 seconds or less. For more information about the Virtual Book Club, check out theCommunities of Practice page. 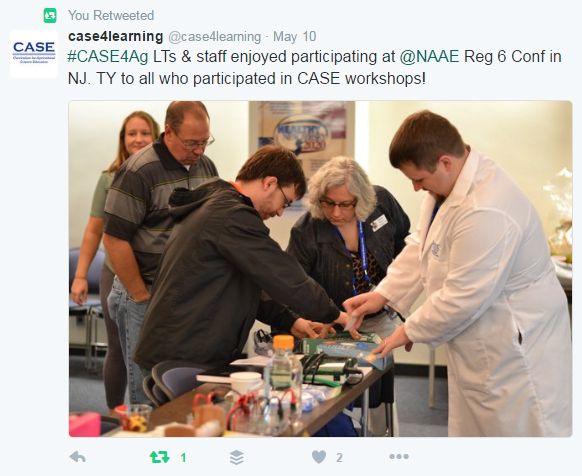 Make sure you attend your NAAE Regional Conference this summer! Get all the information you need to register when you follow this link and click on your NAAE region! Looking for new ideas for your ag program? Check out these posts from Communities of Practice! What Ag Facilities do You Have? NAAE members receive $100,000 in professional liability insurance with their paid membership dues. Members are able to upgrade their policies as well for more coverage and for job protection benefits. Talk for less! Provide your ID and save around 15% off your monthly bill. Summer is professional development time for NAAE! Our staff are engaged in very exciting work with our members at Agriscience Inquiry Institutes, the National Agriscience Teacher Ambassador Academy, CASE Institutes, regional NAAE meetings, NAAE convention planning, and more. For personnel notes, we are excited to announce that Miranda, Ryan, and Beau Chaplin have welcomed another baby boy to their family. Reid was born on May 24. Everyone is happy and healthy! Our five summer interns are now in full swing. We are pleased to have these fine university students with us this summer. The National Teach Ag Campaign is making great progress with the State Teach Ag Results (STAR) program. Teach Ag staff have five STAR meetings scheduled this summer. The twelve 2016-17 Teach Ag Ambassadors have been selected. National Teach Ag Day will be Thursday, September 22, hosted by Growth Energy at one of its affiliate sites, POET LLC, in Sioux Falls, South Dakota. Additional information can be found on the NAAE website or contact us at NAAE@uky.edu for further information. 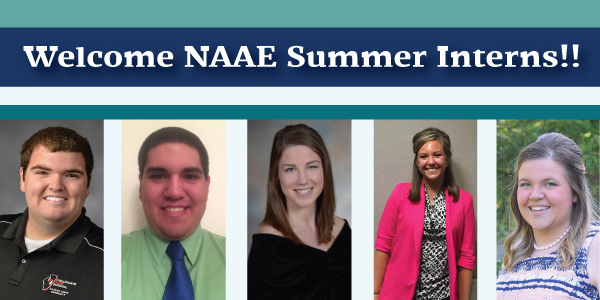 Meet the 2016 NAAE Summer Interns! We are so excited to announce this year's interns who will be joining us this summer in the areas of advocacy, communications, professional development, and Teach Ag. We are looking forward to working with and know each of them during their time at NAAE this year. Why did you choose to major in agricultural education? This is actually a very interesting story. I never planned on taking an agriculture class in high school until my sister's best friend told me to come down to the Illinois State FFA Convention and watch her receive her State Degree. If anyone knows anything about Illinois' FFA Convention, I like to compare it to a mini-version of National FFA Convention. The lights were awesome and everyone was excited to be there! I wanted to have that same feeling, so I decided to enroll in an agriculture class my freshman year and I was hooked.Towards my senior year, I realized that my FFA advisors, Jeff Maierhofer and Kent Weber, really impacted my life in a positive way and I wanted to do the same for other students. That is how I became hooked on agricultural education. What are your professional goals? Most people think they know what they want to do in life after they receive their Bachelor's degree, but for me that is not the case. I would either like to teach for 8-10 years and then go back to school to receive my Ph.D. in agricultural education and become a college professor, or work in the industry for a couple of years and then go back to school and receive a Ph.D. in educational policy, but right now, I am taking it day by day. What are you looking forward to most about being an intern? I am very excited about the networking possibilities I will have in Washington, DC. These people will be great connections for future references. Another thing I am excited about is to tell supporters of ag education and career and technical education about my story of wanting to major in agricultural education and how agricultural education and FFA have changed my life dramatically. Why did you choose to major in agricultural education? I chose to major in agricultural education because my time in agriculture classes had a huge impact on my life and I want to impact students' lives in a similar way. I am very passionate about both students and agriculture and I want to spread knowledge to the next generation. What are your professional goals? My goal is to become the best agricultural educator that I can be. I want to continue growing throughout my career, so that I can always be bringing my students the best practices and most recent developments in agriculture. What are you looking forward to most about being an intern? I am looking forward to interacting with current agricultural educators from all around the country and being able to talk with them about what they do. I am also looking forward to getting a closer look at NAAE and all of the great things that are being done for agricultural educators through them. Why did you choose to major in agricultural education? I have always wanted to work in the agriculture field because I grew up on my parents' vegetable seed operation, but I'm not ready to be running a farm. Agricultural education marries my love for agriculture with working with youth and creates a perfect balance of the industry I love and getting to teach others about it. What are your professional goals? I envision my future classroom will not only foster a greater understanding and appreciation for the agricultural world, but will inspire youth to consider careers in the agriculture industry. It is my goal to expose young adults to the opportunities our industry has to offer. I dream of a future where the general public knows more about where their food comes from and can then make informed decisions in their daily lives, whether at the grocery store or when guiding public policy that can drastically impact our industry. What are you looking forward to most about being an intern? I am looking forward to networking with other ag education professionals and expanding my communication skills, while learning about the support systems available for agriculture teachers to build and update curriculum, network with other educators, and support their youth programs. Why did you choose to major in agricultural education? I decided to major in agricultural education because I had a lot of great ag teachers that encouraged me to become involved in the agriculture industry and gave me a great high school experience. I want to do the same for the future groups of students in my own classroom. What are your professional goals? My professional goals are to move back to Ohio and become a high school agriculture teacher. I would like to have students succeed in every aspect of the FFA and become a major part of the agriculture industry. What are you looking forward to most about being an intern? I am looking forward to everything! I am excited to get to work with NAAE to do all the professional development for the current teachers and learn from them as well to help me in my future career. Why did you choose to major in agricultural education? I chose to major in agricultural education because I love getting to teach people about something I am so passionate about. I grew up showing livestock and started taking agriculture classes when I was in 8th grade and I fell in love with everything agriculture-related. I am continually amazed by the advancements the agriculture industry is making and I hope to be able to pass some of my adoration for agriculture on to my students. What are your professional goals? After I graduate with my Bachelor's in Agricultural Education, I want to obtain my Masters in Agricultural Communications. I hope to eventually get a job designing agriculture curriculum and professional development, or working for an organization that either teaches agriculture in a non-traditional sense or advocates for agricultural education. What are you looking forward to most about being an intern? The thing I am looking forward to the most about this internship is being able to meet people from across the country and learn about the unique ways that each school is teaching its students about agriculture. Who are you? Are you a mother? A son? Do you coach little league? Do you hop on a bus at the sound of the dismissal bell and take students home for the day? Do you sit on the local Farm Bureau board? Help judge the local dairy contest? Who are you? You are more than just the ag teacher. 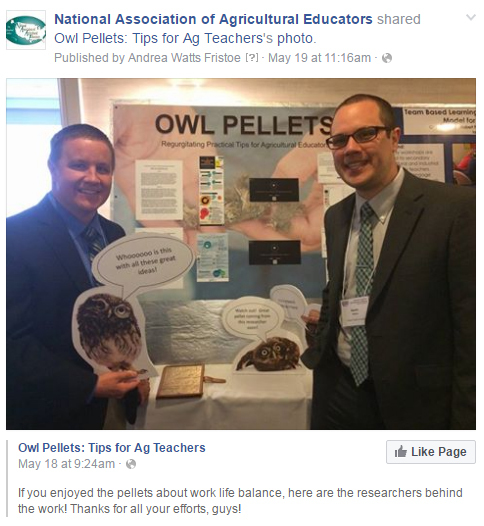 Agriculture teachers do more than write lesson plans and teach from bell to bell. Agriculture teachers are involved in their students' lives, their communities, and their education associations. And as much (or perhaps even more) as in any other profession, agriculture teachers find a way to bring their personal passions into their work, making both stronger. One of agriculture teacher Paul Larson's passions is showing decision-makers and legislators the power of agricultural education, in order to grow the profession as a whole. Larson began his teaching career at Freedom High School, in Freedom, Wisconsin in 1987. With a diminishing agriculture program of only 50 students, Larson took it upon himself to update the program, advocate for agricultural education, and ultimately become a pillar of his professional and local community. "'Learning Together for Lifelong Success' has been a motto of our school since I first arrived in Freedom," said Larson. "This motto embodies my beliefs and philosophies for education." 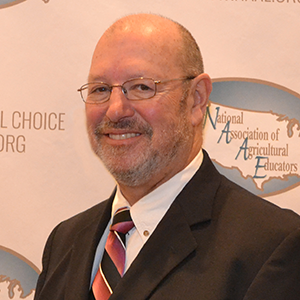 His lifelong learner outlook has fueled Larson's involvement in advocacy for the agricultural education profession, including his willingness to serve in numerous leadership positions with the Wisconsin Association of Agricultural Educators, NAAE, and The National Council for Agricultural Education. Currently he is serving as the chairman of The National Council for Agricultural Education Advocacy committee and as the chairman of the Wisconsin Agricultural Education Foundation. Larson's passion for advocacy has led him to teach other agricultural educators how to advocate for their own programs. Because of this, he has provided advocacy workshops at local, state and national conferences. In addition, he led the effort to draft legislation in Wisconsin to create the Agricultural Education and Workforce Development Council in 2007. This group's mission is to attract, develop and retain the premium workforce required to grow Wisconsin's agriculture industry, food, and natural resource systems. Leaders like Larson are what keeps agricultural education thriving. Agriculture teachers who are willing and able to go above and beyond their duties as classroom instructors to provide their students and colleagues with the best tools and knowledge available are the heart of our profession. They keep the blood pumping in our organizations. So who are you? YOU are more than just the ag teacher! For more information about the Wisconsin Agricultural Education and Workforce Development Council click here. 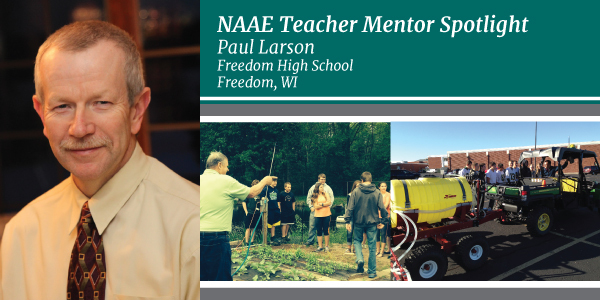 Paul Larson was selected as the 2015 NAAE Region III Outstanding Agricultural Education Teacher. For more information about this award and to see a full listing of all the award recipients, click here. 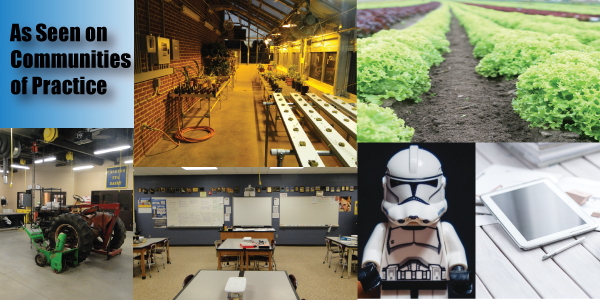 The Outstanding Agricultural Education Teacher Award is sponsored by Caterpillar, Inc. and Tractor Supply Company as a special project of the National FFA Foundation. Red Brand fence, manufactured by Keystone Steel & Wire in Peoria, Illinois, has been a long-time supporter of FFA. As the leading manufacturer of agricultural fencing in the country, the relationship is a natural fit. When Red Brand joined forces with the National FFA in 1947, they saw an opportunity to support the country's future ag leaders in a variety of ways. Almost 70 years later, the enduring relationship has fostered many unique programs that encourage and support FFA at all levels. One of the most exciting new programs introduced recently is intended for the classroom. Red Brand has developed a curriculum called Fence 101. This 'Curriculum in a Box' was created to give advisors a simple, unique way to educate students on the importance of correct selection, calculation and installation of agricultural fencing for the wide variety of needs they may encounter as future farmers, property owners and ag business leaders. This exclusive program has been carefully and thoughtfully developed to engage a high school audience. Each of the five lessons is approximately 50 minutes in length, making the program manageable for most classroom situations. And, no matter the background or level of expertise in the area of fencing, advisors and chapter leaders find this program easy and fun to teach. The Fence 101 Curriculum Kit includes everything needed to present the program, including a comprehensive instructor's manual, PowerPoint presentations with videos, actual fence samples and files for printable student notes and quizzes. For students, the kit contains Quick Reference Guides, Fence Wrapping Tools, Fence 101 Stickers and Completion Certificates. For three decades the DuPont Challenge essay contest has offered students from across the United States the opportunity to delve into the world of science and create a writing piece where they can express their own ideas and solutions for global issues in food, energy, protection and innovation. This year's contest had over 9,000 entries. It is with great pride that we announce agricultural education was represented for the third time in the contest's history amongst the winners of this year's contest. Chase Krug, a sophomore at Lin-Mar High School in Marion, Iowa, was selected as the third place winner of the senior division. Krug is a student of NAAE member and agriculture teacher Barb Lemmer. "Chase came to me as a freshman without a traditional agriculture background. Even though he is a non-traditional agriculture student, he has a love for science and a passion for plants," said Lemmer. "He began reading about plants in fourth and fifth grades, then began gardening on his own. He lives in town, but that doesn't stop him from being involved in agriculture." Krug's love for plant science fueled his agriscience fair project, which eventually inspired his essay for the DuPont Challenge. His essay, titled Domesticating New Crop Species, focuses on sustainability, native crop species, and climate change, while addressing the global food shortage. Krug's central idea is to grow crops that are native to the area in order to develop a local food supply. This process would involve changing people?s diets and lifestyles in order to address hunger needs. "According to my research, if we could get people to raise plants native to their particular location and change their diets, we would experience less crop loss and have fewer irrigation issues," said Krug. As recipients of the DuPont Challenge award, Krug and Lemmer were given an expense-paid trip to Orlando, Florida where they visited Disney World, botanical gardens, NASA, and Epcot. Krug also received a $1,000 savings bond and access to Britannica Encyclopedia's Digital Learning E-book collection. Krug plans to one day become a scientist, focusing on plant science, genetics and biotechnology. "Chase is one of the rare students who takes what is on the board and investigates it," added Lemmer. "He has written 10 to 15 different essays for my class and has entered several different writing competitions. I am very proud to have him as a student and look forward to all of his future successes." For more information about the DuPont Challenge and to see a full list of this year's recipients, click here. Ag teachers can be Jacks (or Janes) of all trades. It is not that they necessarily know everything -- it's just that ag education spans such a wide range of topics. An ag teacher might begin his day showing students how to tack two pieces of metal together to build a gate, eat his lunch while helping the floriculture team understand the importance of a focal point in an arrangement, and end the day deworming goats in his animal science class. Jason Chester, one of the three agriculture teachers at West Rowan High School in Mt. Ulla, North Carolina, uses a network of community support to ensure his students get first-hand knowledge and experience in agriculture. He has even developed a county-wide professional learning community of agricultural leaders and professors that meets quarterly to discuss the current trends in their expertise. Chester's primary goal is that his students are well-prepared to enter the agriculture industry or postsecondary education. "Working with local businesses and organizations also allows me to enhance my agriculture program through guest speakers. By allowing them in my classroom, my students gain valuable knowledge that they can use to make informed career decisions," he said. These partnerships have opened many opportunities for his students. Many of his students have SAE's in the community thanks to local farm businesses and veterinarians who see the value of West Rowan's agriculture program. These partnerships have even opened the doors for his agricultural mechanics students to help the community of Mt. Ulla with a variety of repair projects. "I use agriculture as the vehicle to train students to solve real-world problems and prepare them for life after high school," Chester said. Teachers like Chester are the reason communities come together to support the local agriculture program. They see the value of agricultural education through the various projects students complete beyond the classroom. Working with your community is one of the greatest ways to advocate for your program. You are not only providing your students with "hands-on" learning experiences, but you are developing lasting relationships that will help your students be successful in their future careers. That's one of the big reasons no one ever forgets their agriculture teacher. 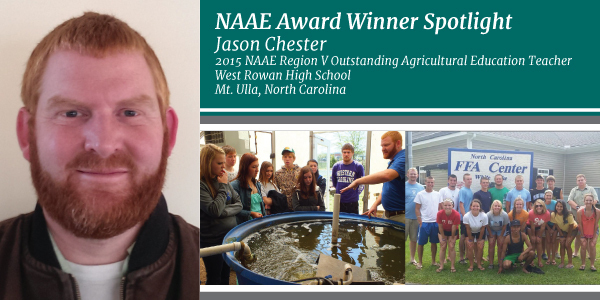 Jason Chester was selected as the 2015 NAAE Region V Outstanding Agricultural Education Teacher. For more information about this award and to see a full listing of all the award recipients, click here. 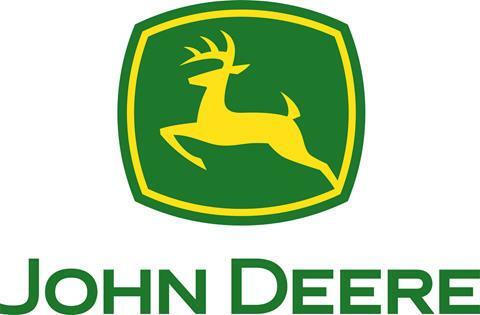 The Outstanding Agricultural Education Teacher Award is sponsored by Caterpillar, Inc. and Tractor Supply Company as a special project of the National FFA Foundation.